I always love products' review because I think that most of us need it nowadays. I also think that every bloggers will do an honest review because telling or writing the truth is actually a good deed and in return, good things will come back to us, lol. Buat baik dibalas baik! Aishehmen! I got this product last October (2012) but the review was delayed as I was too busy. FYI, I only tried 40 capsules. The original packing was 30 capsules and there was another small bottle (complimentary) inserted into the box with 10 capsules of sheep placenta. Actually I didn't get all these Features and Benefits mentioned above, it must be because of I only consumed 40 capsules. Anyway, I didn't get another next bottle after all consumed because of I experienced vaginal dryness. Better to stop la rather than buying KY Jelly hahahahaha.. you know what I mean! I think that this supplement is good for the ladies who has excessive vaginal mucous, lol. But I realized it my discharge is more than the usual...is this normal? I really think that it's depends on individual. Some people will feel heaty when consuming sheep placenta, some get pimples too. IMO, the most important is drink more water (like 2.5L per day) while consuming it. Been consuming for 5 years n i noticed my energy level increase n my skin is soft n not dry .It repairs my damage cells coz im able to walk with less pain.Everything gets better n im not young 50 plus.But as a Muslim i fear this product is not halal but i need it to keep healthy.How then? Hi fay so the sheep placenta got rid of your oily skin ? Dident over produce? All day till late night no oil on you're skin and no oil when u wake up in morning ? Cell Labs Sheep Placenta is so overpriced and the product is below average. Tried it for two months. Was hoping to see an improvement for my acne-prone skin. Unfortunately, the product makes my skin itchy. At first I didn't know it was the sheep placenta that is the culprit. After I stopped taking it, I noticed my itchiness was gone. There are a number of online sheep placentas (from NZ) that is way better than Cell Labs brand and also priced affordably. My advice is be wary! 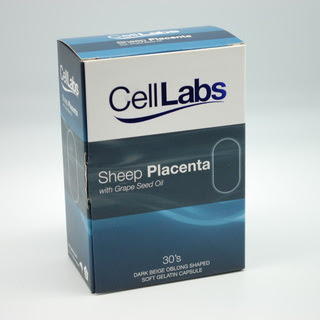 Produk Celllabs Sheep Placenta ini mmg harga mahal sgt. Tapi tak berkesan! Good review! You should check out DG2 Sheep Placenta too, although it is quite pricey, it will be very effective to your skins, especially in diminishing dark spots and face pores! It is swiss-formulated and is highly recommended by doctors in my town.